It doesn’t have to be December to appreciate these beautiful creatures. A reindeer is a reindeer everywhere in the world apart from North America where it’s known as a Caribou. 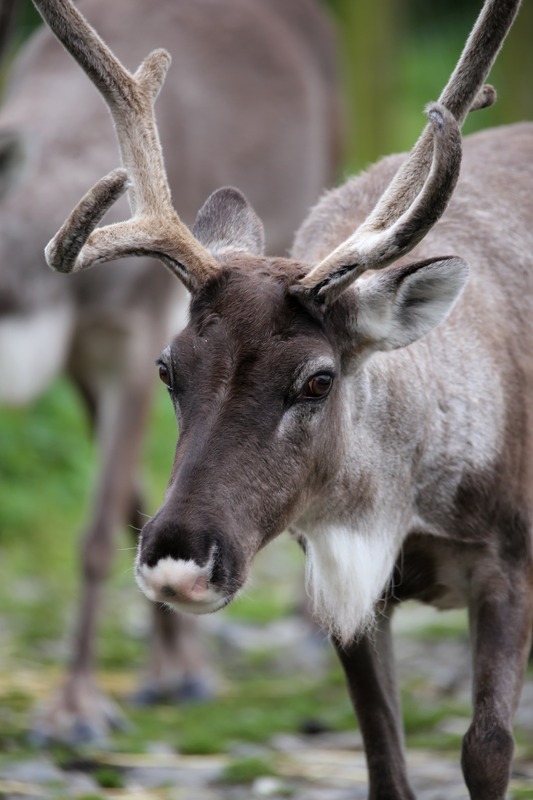 You can find reindeer (or caribou) to the north in the arctic and subarctic regions of the planet. They like to move around a lot and rarely stay in one place for very long. They have been known to cover up to 3,000 miles in a year…that’s roughly the distance from Folly Farm to Toronto in Canada! 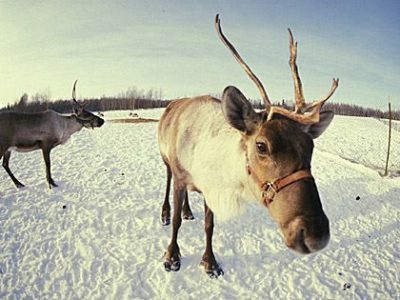 It’s not really much of a surprise that Reindeer have very thick coats. In fact, they have a double layered coat designed to keep them really cosy in chilly temperatures. Although considered ‘least concern’ there are efforts to maintain the population further. The ‘WWF’ charity for instance, work with local people in order to find ways of reducing their impact on the environment through forestry, mining and reindeer herding. Plus, Santa’s got eight and they’re really well looked after! 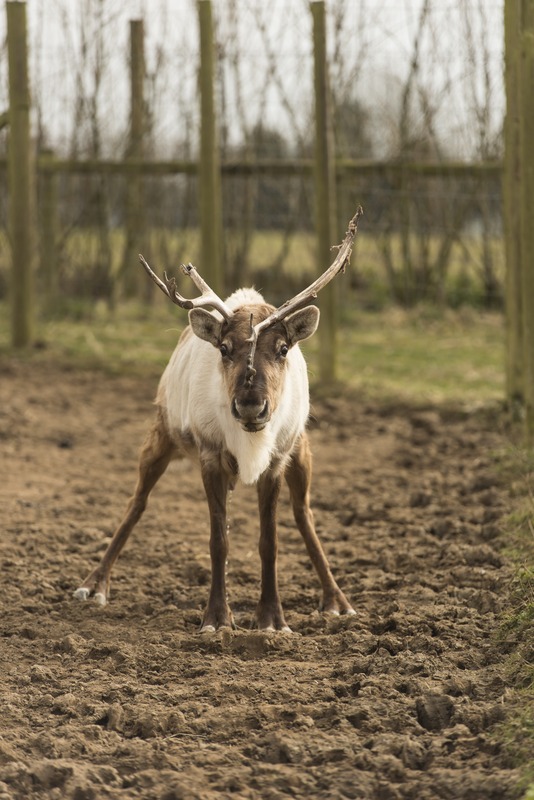 Reindeer antlers are found on both males and females. 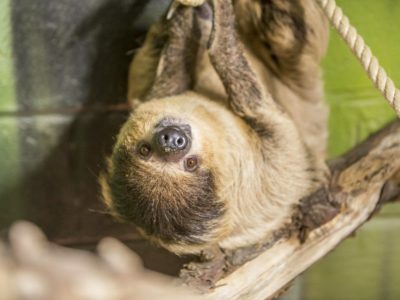 Their sense of sight and hearing aren’t brilliant, relying mainly on their sense of smell. When they walk they click…it’s a tendon in their foot passing over a bone! The first known written account of reindeer in association with the legend of Santa Claus occurred in 1821 in a booklet called ‘A New Year’s Present’. So where do reindeers live? Domesticated reindeers are mostly found in northern Scandinavia, Russia, and Iceland where they were introduced by humans in the 18th century. Do reindeers live in large herds? They do…massive in fact, anywhere between 50,000 and 500,000. They’re vegetarians so that means they don’t eat meat at all just anything green. Mainly lichen, fungi and leaves. They certainly can. They have been recorded at speeds of between 36-48mph. The fastest man on the planet Usain Bolt runs at 27mph. How fast can you run?